Also, when purchasing your tires from your Spinelli dealership, you benefit from the Road Hazard Protection Plan. 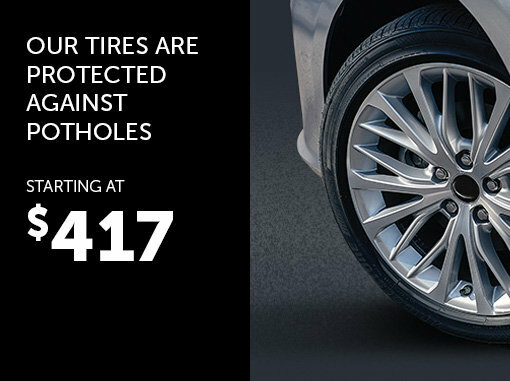 This protection includes repair or replacement of your tire in the event of damage (cuts, dents, damage by impact or perforation) due to road hazards. This guarantee is valid for a period of 3 years or 50,000 km with a proof of purchase. Enjoy our Price Match Promise on top brands when you purchase new tires and have them installed by a certified technician. Visit us today or contact us for more information! * Conditions apply. The $417 tire package includes 4 Uniroyal Tigerpaw AWP3 175 65 R15 tires, rims and installation not included. All details available at your Spinelli dealership.